Gosh, some really troubled people in this book. Rob, trying to escape from the guilt he feels over his past actions is back in his home town. Linnea has also come home after twelve years roaming, floating from place to place, job to job, rootless. After a postcard from her mum she thinks finally she can come back and make changes. Its a different place to what she left though, and Ambler isn’t open and friendly to her “sister” but sullen and moody. She’s fourteen now, a tough age anyway and Linnea just feels even more guilty for leaving. Her mum hasn’t encouraged contact and the three of them all seem very self contained, not close though its clear Ambler and the lady she thinks is her mum have a special bond. I so felt for Linnea, though she left her daughter when she was two its not as cut and dried as that, and she still looks to be trying to stop the hurt of rejection. Linnea isn’t really made welcome even though her mum asked her to return. She lives a few miles away, in a tiny ramshackle place in the mountains, but has been invited for dinner just a couple of times since she returned. Any more frequent contact Linnea tries is discouraged. She was hoping they could tell Ambler the truth but that seems like it’s not going to happen… Just when she’s thinking maybe she should just go again something huge changes everything. Rob, he’s not exactly happy in his new job. He’s got to make some sweeping changes and severe cutbacks to keep the college running. One of his ideas for extra income is for the college to have some extra classes – adult education, not for the basics but for Art, History, subjects that interest people and aren’t easily found. There’s a bit of closed ranks but he gets his way. He’s attracted by Linnea but she’s rude, prickly and unwelcoming. Somehow though he sees in her someone like himself who needs a friend, and he wants to see more of her. She’s scared, puts him off, conscious of her position as an uneducated shop-worker compared to his as College President. He wears her down though, but just when they finally seem to make progress everything gets upturned and there are some tough decisions to make. Stars: Four, a haunting read, and I really felt for the characters. Well, this book wouldn’t leave me, even though there were issues I had with it. Somehow Cassie and Ethan kept creeping into my mind til I just had to re read this book! I’ve waited til the next almost out so it’s still fresh when I read that. I really enjoyed it this time and as I’ve just got Broken Juliet for review that’s todays reading settled! My new thoughts are those in italics. The pacing too was a bit off for me. The story is told in flashbacks, they work OK for me usually, not my favourite style but there are lots of them.. I did find it confusing sometimes working out what’s happened, when and why, and I think this novel would be better for me if the past was in one complete section. The way it alternated felt choppy to me, and affected the way I read and understood their actions. Ok, second time round this didn’t bother me so much either – maybe because I understand more where the story is going. Strange isn’t it how what was a real issue for me isn’t this time. 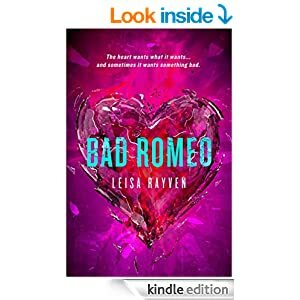 I felt it could have been a terrific story as the characters and settings were all there, but the little things that irritated – and the big ones of the missing breakup and rushed ending, spoiled it for me and brought the rating down to just an OK read. I needed more sadness, for the breakup that was given to be strengthened, and prolonged. They way we read it was so quickly that I didn’t get to feel Cassie’s ( and maybe Ethan’s) pain, or understand just how it had affected them and given Cassie has struggled for the three years since to get over him then it was a big loss to me. I needed more about the intervening three years and how it had affected them both. I’m hoping Broken Juliet covers this more, there’s a kind of six year/three year issue for me and I’m not really sure where the last break up fits in, whether its in what feels to me like a missing gap – that would make much more sense to me. Second time round I’ve really enjoyed this read, and somehow the things that grated before have gone more smoothly. I still felt the ending was abrupt and could have been prolonged, but the overall drama of the book resonated so much more this time so I’ve upped my rating to a four and a half. Stars: Three, I really really wanted this to be a five star as for me the characters were so charismatic and perfect for each other but… The overall drama of the book resonated so much more this time so I’ve upped my rating to a four and a half.